Ghost – Throw It Back Thursday? 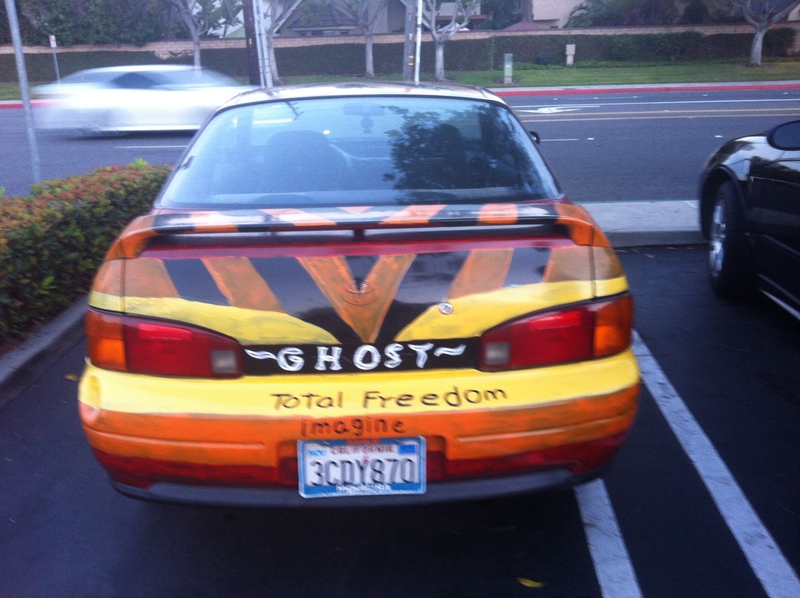 The back of the Paseo has the word “Ghost” painted across it, which one can only assume is the name of this… vehicle. 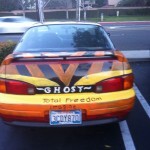 The name is fitting, because the vehicle is scary looking. 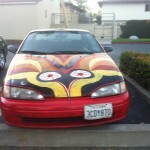 Much more prominent but even more ambiguous are the bloodshot eyeballs on the hood. Do ghosts have bloodshot eyeballs? 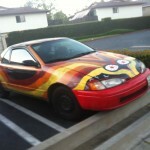 Or are they merely a reflection of what will happen to people who stare at this car too long? 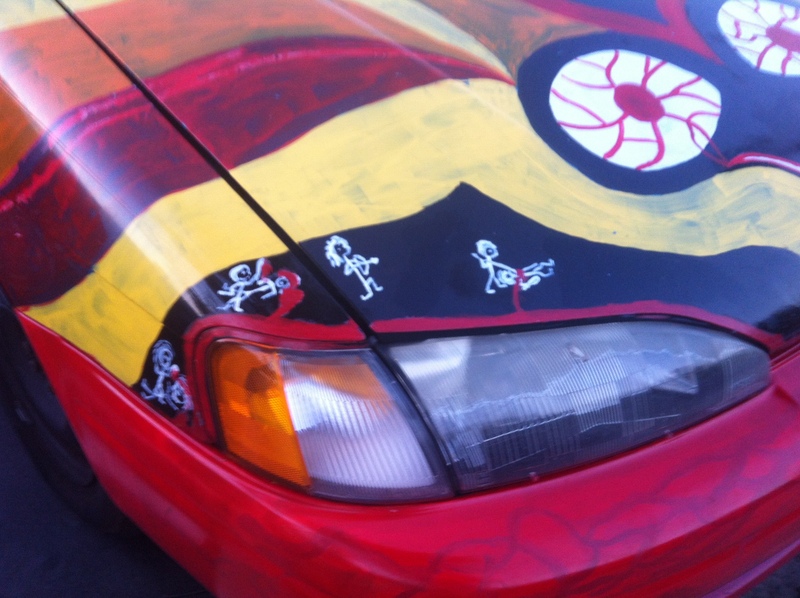 The stick figures over the passenger side headlamp portray a scene of death and violence. 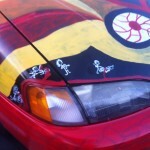 Usually stick figures appear in the rear window of minivans and SUVs depicting the passengers inside. We hope this is not the case here, because it would indicate this person has a lot of pent up hostility toward his or her family members. Of course, maybe that’s the answer. 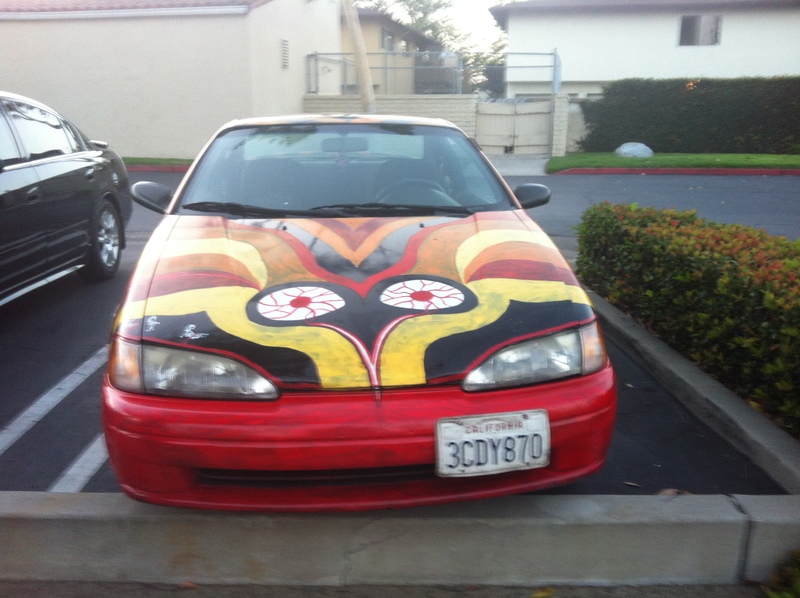 Perhaps it was a family member that “customized’ this piece of work. 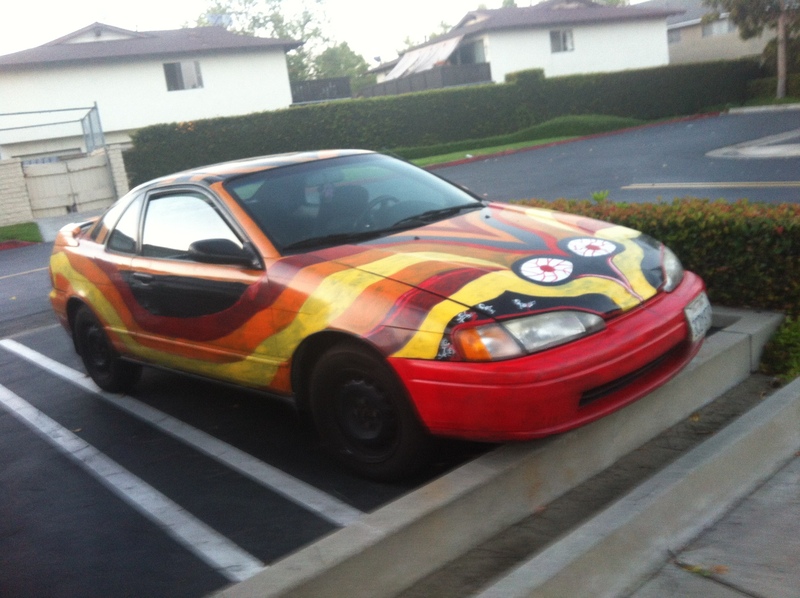 The stick figures, the uneven striping, the inconsistent brush strokes, and the child-like lettering, maybe this Toyota Paseo is just the canvas for some preschoolers extravagant finger painting project. Nah. We don’t really think so either. Which leaves just one more question: Would you rock it, or would you crush it? Let us know by voting here. This entry was posted in Miscellanea, Uncategorized and tagged #TIBT. #ThrowItBackThursday, Paseo, Toyota. Bookmark the permalink.